WHY DOES THE GOVERNMENT ALLOW SOMEONE TO GET RID OF THEIR DEBTS IN A ST LOUIS BANKRUPTCY? Because it doesn’t make any sense for someone to live the rest of their life with overwhelming debt. A person trying to make ends meet, who just had his hours reduced (or was recently laid off), who is juggling overdue bills, whose child has enormous health problems (and therefore very high medical expenses), and who is struggling to put food on the table shouldn’t have to worry about whether or not he can make a minimum payment on his credit card on time (most of which is interest, as opposed to principle). Some people reading this may look at the above paragraph, and say something like, “Hey, if you can’t handle the burden of paying all your bills, then you shouldn’t have gotten yourself into this mess in the first place!” Well, that’s all good and fine. But it’s not as if this individual wanted to lose his job; he doesn’t want to have to live off of credit cards; and he surely does not want his child to have medical issues. I have filed thousands of St. Louis bankruptcies over the years, and every one of these individuals are good people who have found themselves in situations beyond their control. Simply condemning these individuals, and trying to make them feel guilty about their particular set of circumstances, is completely unproductive. Or here is another one of my favorites: “People who file for bankruptcy are a drag on the economy! Part of the reasons that things are so bad right now is because of people who want to get rid of their debts quickly.” This sentiment flies in the face of all available facts and evidence. To begin with, when a person discharges unsecured debt (like a credit card), it’s not as if the credit card company will miss out on the money. They will simply write it off. So for example, if you get rid of twenty thousand dollars owed in credit card debt through a St. Louis bankruptcy, the credit card company will take advantage of the discharged debt by way of favorable tax provisions available to them (to say nothing of the fact that credit card companies make billions and billions of dollars through the rates of interest that they assess). The issues involved in why the economy took a steep fall (starting in about the fall of 2007) has nothing to do with a low-income individual filing for bankruptcy (but that person who filed bankruptcy is certainly an easy target for someone who doesn’t have a clue what they are talking about). It’s worth mentioning at this point that almost every single person I’ve met with over the years for a St. Louis bankruptcy consultation has felt embarrassment and humiliation. These are good people who have found themselves is difficult positions (whether it is the loss of a job, severe medical issues, or a child who has developmental problems and requires expensive special needs). These are people who have done everything they can to avoid filing for bankruptcy (and very often, I am the first attorney they have ever met with in their life). By the time they make an appointment to come in for a consultation, they are typically stressed out, tired, and feel like things are hopeless. 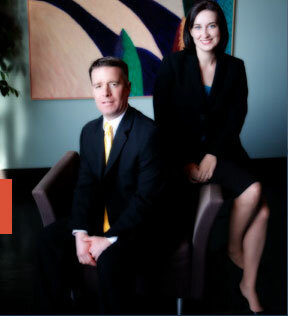 But as a St. Louis bankruptcy attorney, I can relieve them of their debts, help get them a fresh start in life, and put them back on the road towards financial freedom. This new life will allow the person to rebuild his credit score (quicker than you might think), and achieve his financial goals. In the end, the bankruptcy will have put the person in a position to live a more productive, happy life. Our consultations are free of charge. For a St. Louis Chapter 7, we typically charge $750 in attorney fees; and for a St. Louis Chapter 13, we typically charge $300 in upfront attorney fees. Please do call today to learn more! !